No Derby party is complete without a mint julep. The signature drink of choice for the weekend, it has been a tradition for nearly a century, and each year there's nearly 120,000 served at the actual Derby. 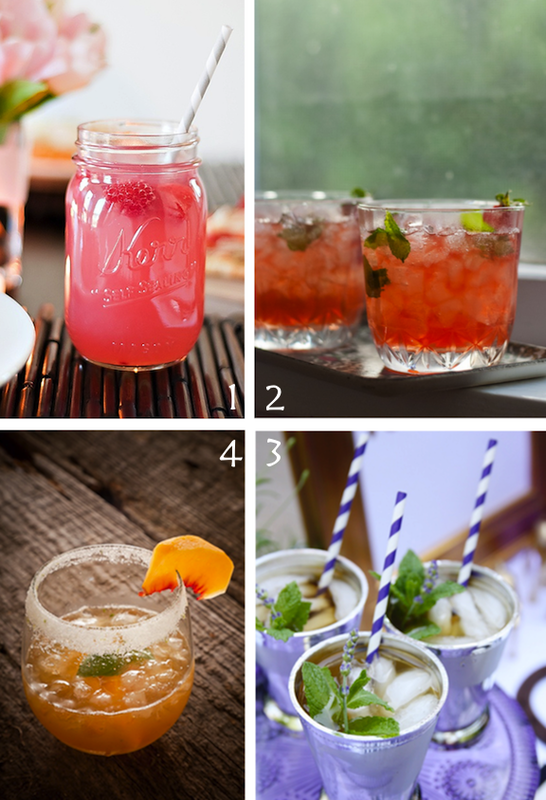 However, I wanted to share a few other options in case mint juleps aren't your thing. Below are a few recipes for cocktails so good, your friends won't be able to hold their horses to get their hands on these. - Garnish: lemon slices, or raspberries. Garnish with raspberries. To make ahead, stir together lemonade concentrate and vodka in a large container. Stir in raspberries and beer just before serving. Garnish, if desired. Rinse the strawberries, then chop off the leafy tops and discard them. Chop the strawberries into bite-sized pieces. Transfer the strawberries into a jar large enough to hold all the strawberries and leave a couple of inches of room at the top. Pour bourbon over the mixture, screw on the lid tightly and give it a shake. Store the jar in a dark place, like in a cupboard, for anywhere from 3 to 7 days. Try to give the jar a shake once a day (I kept the jar in a cabinet right next to my coffee so I remembered to shake it every morning). When you’re ready to strain the mixture, place a mesh colander over an appropriately sized bowl. If you have one, you can use a nut milk bag, clean paint straining bag, cheese cloth or even a coffee filter in place of or in addition to the colander. Pour the mixture over the colander/bag/filter to catch the strawberries and any strawberry debris. Discard the strawberries. If you see any debris in the bowl, pour the vodka through your strainer once or twice more to remove it. Store the strawberry bourbon in the refrigerator for up to a month, or in the freezer to retain its fresh flavor even longer. Fill glass with mint and simple syrup. Muddle until crushed. Fill with ice and top with whiskey. Garnish with a lavender or mint sprig. In a large cocktail shaker, fitted with a strainer, combine the peaches, sugar, lime juice, basil leaves and bourbon. Shake vigorously to blend. To serve, thoroughly blend the lime zest and sugar and pour onto a plate. Coat the rims of two cocktail glasses with lime juice and dip into the sugar mixture. Fill the glasses with ice and strain the liquid from the cocktail shaker. All of these cocktails look amazing. These all look so good! I want to make number 1! making that peach cocktail ASAP! My boyfriend and I are making the Mint Julep today! Thanks for the recipe! !